Miami, Florida was at the vanguard of the rise of circuit parties and attendant club drug use—especially ecstasy, GHB, and ketamine—in the 1990s. Crystal methamphetamine, a drug of abuse among gay men for some years on the West coast, gradually moved east toward the end of the decade and recently became prevalent in Miami. 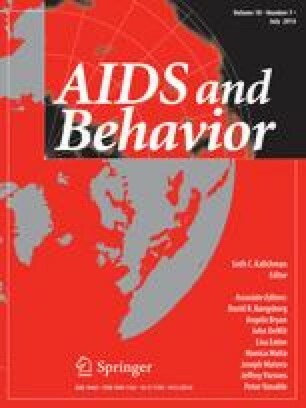 This paper reports the results of focus group research into the motivations and consequences of crystal use among gay men in this new setting. Loneliness, fears about physical attractiveness due to aging and illness, and desires to lose sexual inhibitions were common motivations for using the drug. Continued use of crystal was often described as the cause of lost friendships, employment and long-term relationships, as well as sexual behaviors that put men at risk for HIV and other sexually transmitted infections. Implications for drug and sexual risk prevention interventions are discussed. Brown, E. (2002, April 29). Crystal Ball. New York Magazine. Retrieved on March 12, 2003, from http://www.newyorkmetro.com/nymetro/urban/gay/features/5948/index.html.